The KW DLC (Dynamic Level Control) provide a more attractive vehicle perspective for cars and SUV with factory air suspension. The KW DLC is an electronic lowering module which can be easily and quickly connected to the stock wiring harness via an adapter plug. The module provides a lowering range up to 50mm. The height can be adjusted via the KW DLC App. The electronic lowering module is compatible with various OEM manufacturer’s air suspension systems. Whether the system is Audi’s “adaptive air suspension”, Mercedes-Benz AIRMATIC or Mercedes-Benz ABC – all factory features remain fully functional. Deactivation of the DLC module is not necessary. KW takes into consideration the smallest details when creating an application specific product. Our vehicle-specific applications increase the ease of installation of the DLC module into your car or SUV. Utilizing the switch placed at the control unit, incremental lowering heights can be adjusted and set. The KW DLC App provides this adjustment remotely and the added options of varying ride heights. The lowering heights can be adjusted in pre-set fixed increments via the switch located at the control unit. Optional KW DLC App control to change the lowering live via iPhone, iPod touch and iPad. The KW DLC App is compatible with Apple iPhone, Apple iPod touch and Apple iPad and allows the user to lower the car by 1 millimeter increments on the ADVANCED Menu screen of the App. The W-LAN module must be purchased seperately to allow use of the KW DLC App. The KW DLC W-LAN module option is available for KW DLC ECU coilovers. With this module, you can control your suspension kit via your iPhone, iPod touch or iPad. With the KW DLC App it is easy to store a variety of different vehicle height settings. Such as different ride heights for highway driving, bad road conditions or loaded with additional weight. These settings can be shared via email. 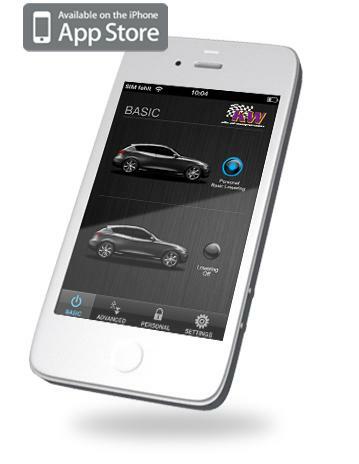 With the App-control you can activate or deactivate the lowering ability. For instance, if you are traveling for a long period of time on rough roads. You can revert the lowered ride height by a push of the button. 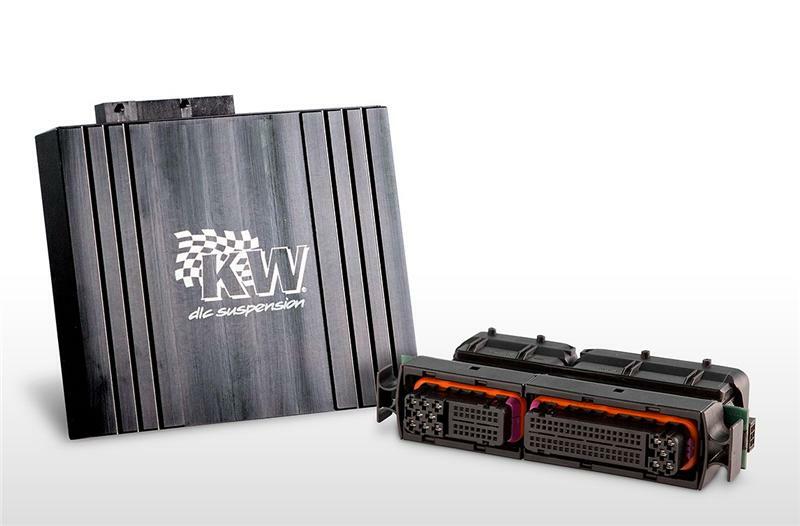 The free KW DLC KW App in connection with our optional W-LAN module help provide you with the ability to customized your ride height in real time.